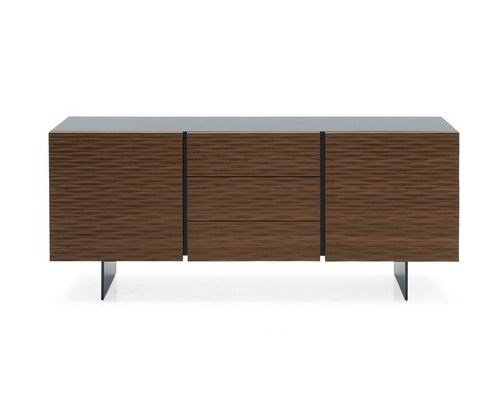 A tactile, decorative look for OPERA sideboards, with lacquered structure and 3D effect wooden doors. With a distinctive metal or clear sheet-glass base, which adds lightness to the frame, creating a suspended effect. The handleless doors and drawers have a push-pull opening mechanism. Includes 2 internal wooden shelves, with the choice of 3 adjustable heights. Available in several side, wood and glass finishes.